So first of all, what’s the Frankfurt Book Fair all about? 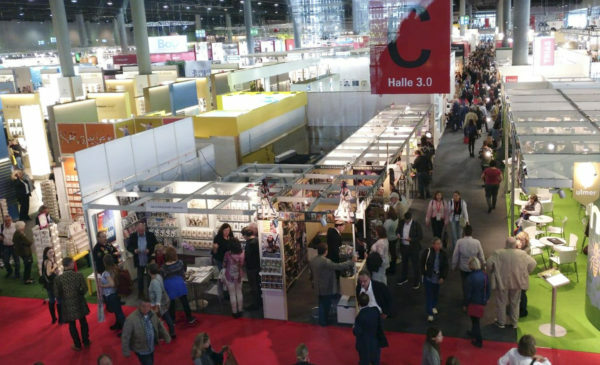 It’s one of the biggest book fairs in Europe! It’s a really important place for authors to be, but also the perfect venue to meet contacts from across the publishing sector, in Europe and beyond. What was your role there for Arcangel? Had you been before? It was my first time there! 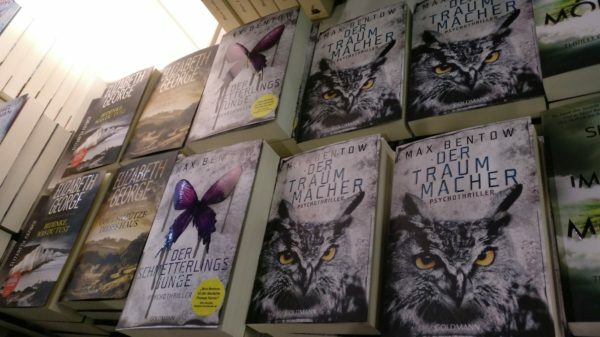 I recently became Arcangel’s Account Manager for Germany, so I was focused on the publishers from there. This was my first opportunity to meet some of the clients we work with face to face, and I got to introduce them to some of our services and the latest features of our website. How did you find it as a first-time visitor? What was the atmosphere like? The atmosphere was very friendly. It’s a very international event but everybody was speaking English. It’s a second language for most of us so that was a big help! Although it’s a huge event I found the stands were easy to get around. What about the exhibition stands – did you have any favourites from those you visited? Well, the Random House stand was just enormous! I enjoyed looking around the stands for Fischer Verlag and Dtv, but they were all interesting in different ways. It was also good to spend time at the smaller stands, like the ones for self-publishing for example. There were a lot of events going on as well – discussions with authors, radio interviews… There was a live cookery event happening as well! 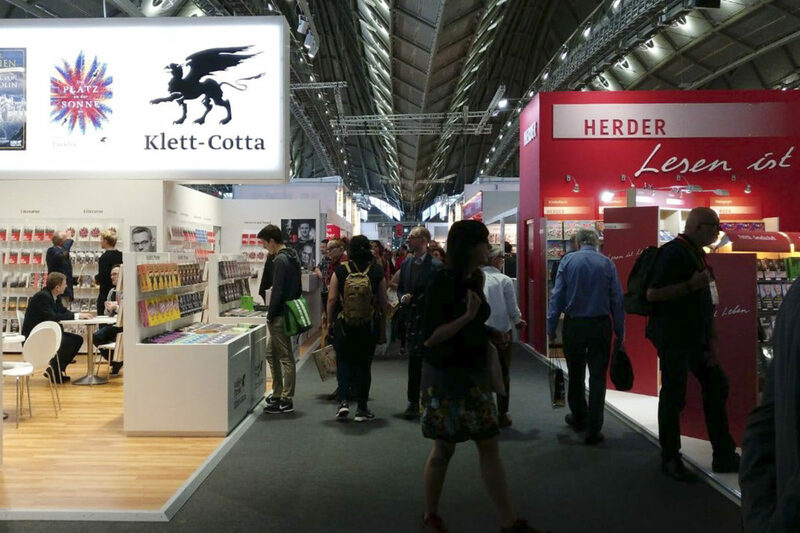 What kind of things were the publishers exhibiting on their stands? Did you spot many Arcangel Images on the covers? and it was a fantastic feeling to see so much great work by our photographers being used creatively by the cover designers. 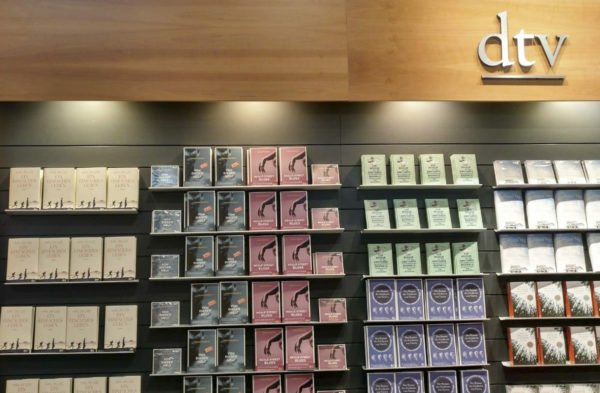 Did you notice any trends in the book covers on display? I noticed more covers that didn’t necessarily have any people on them. There seemed to be more objects, landscapes, or buildings. I was discussing this with one of the publishers I met and this is a new trend, particularly in thrillers. The cover image might just be an ordinary landscape or object, so it’s only the title and the way the image is presented that tells you what kind of book it is. What did you enjoy most about being there? Would you want to go again? It was a really interesting experience! I enjoyed getting to know the clients that I’ve been working with so far, but it also gave me some different perspectives on the industry. I would love to go back next year!